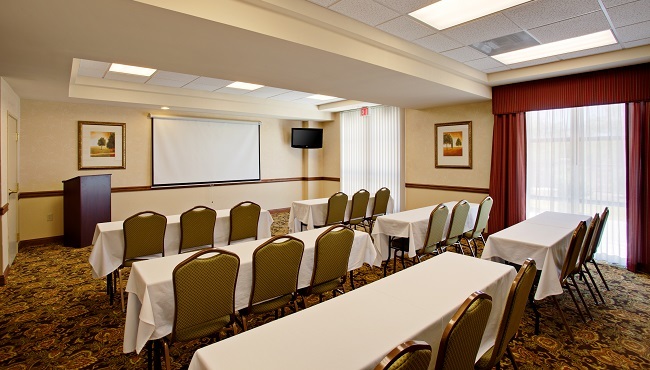 Inviting event space awaits at the Country Inn & Suites, Tucson City Center, AZ, perfect for everything from multiday training seminars and corporate meetings to birthday parties, wedding showers and family reunions. Our flexible, 35-person meeting room offers amenities like a dry-erase board and flip charts, plus free high-speed Internet access. Use audiovisual equipment rentals to keep guests engaged, and let us know if you need help arranging catering for a snack or a meal. Our friendly, knowledgeable staff is happy to help you plan every detail for a successful event.